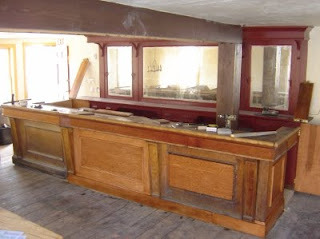 The bar is done, for the most part, and E! did a fantastic job staining it. Granted, it still needs to be artificially aged (I won't tell you what E! 's secret is), but it already looks great. We are so effen relaxed over here. Stage one is done and we took a little nip. Not bad. We got beer. Hopefully what you provided is useful for all those who need them. Visit my website Here you can get best web hosting service like Wordpress web hosting, reseller web hosting you just visit here.